Originally from Louisville, KY, Versityle "Tell Em" aka Verse aka VTE has been all over the world and his music reflects an international flare with southern roots. Versityle began in music as a producer in 2004, and then debuted as a lyricist with Awaken Records in 2007 on the "Big Dreams" compilation. 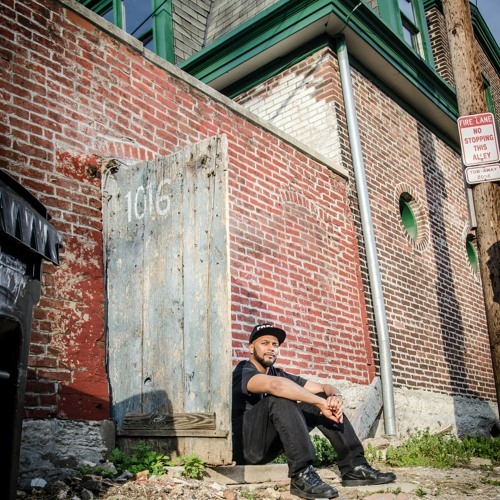 Since then, Versityle has performed many venues in the Louisville metro area with Awaken records label mates: Wyde Awake, Militant, and Kid Cos. Versityle has also worked with other KY artists such as the Derby City Boys, Bona-Fide, Macaroni, Too Tall, and DJ KGee. Versityle's style is self-descriptive and unique combining repetitive phraseology (e.g. Kool G Rap, AZ, Lupe Fiasco) with rhythmic delivery, and singing. Versityle animates stories with realistic and comical punch-lines and at times delivers wise lessons to his audience. Versityle's production is laced with bass-heavy, soulful and jazzy instrumentation. He has started his own independent label, Freeway Music Ent. and has started merchandising with the Freeway Nation brand apparel in 2013. V-T-E (Intro) by Versityle "Tell Em"
Afrikings x kyrptonite x VTE - Chop Suey by Versityle "Tell Em"
Red vs. Blue by Versityle "Tell Em"
Don't Kill MY VIbe Remix by Versityle "Tell Em"
Trap x LP by Versityle "Tell Em"
Versityle tell-em - never gonna give you up by Versityle "Tell Em"
ReggaePAD Experiment by Versityle "Tell Em"
Poetic Justice Remix snippet by Versityle "Tell Em"
Auto-Tuner Music by Versityle "Tell Em"
Freeway Music (The Fleur di Lis Way) by Versityle "Tell Em"